As the commissioner of education for the state of Tennessee, I had the privilege of joining Governor Ned Ray McWherter in a press conference issuing our state’s first-ever state education report card. 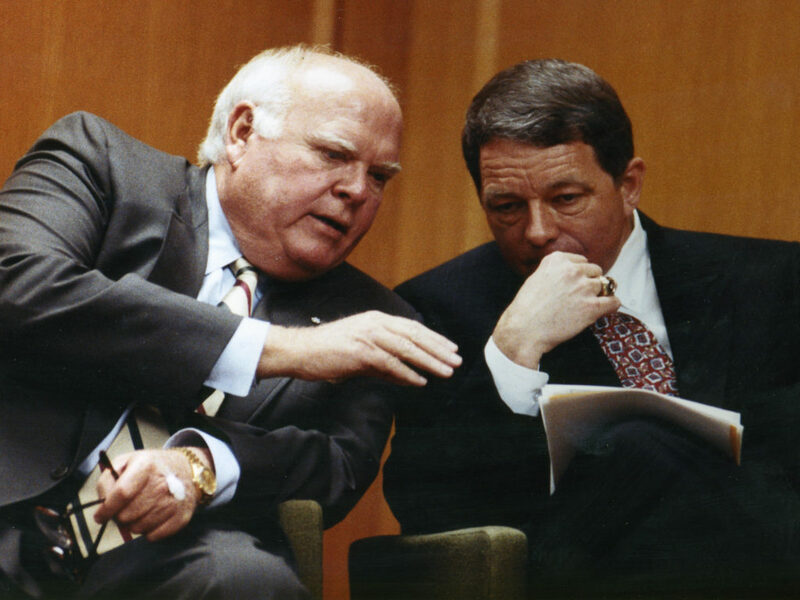 I had the opportunity to work with and for seven Tennessee governors during my time of leadership in government and education. Each brought a unique skill set to the office. I was fortunate to have a positive relationship with each one. Among the seven, Ned Ray McWherter was my favorite. I got to know him well during my six years as chancellor of the University of Tennessee at Martin, a time when he was representing the Martin area in the Legislature and serving as speaker of the Tennessee House of Representatives. Not once in all my years at Martin did he ever ask me to do anything, to hire anyone, or to second-guess my decisions. We developed a strong friendship. A few months after I left Martin to become vice president for administration for the University of Tennessee system in Knoxville, McWherter was elected governor. Within days, he asked me to be his commissioner of education. It was the beginning of a fascinating ride to the top of state government with a man who knew from day one why he wanted to be governor and precisely what he wanted to accomplish. Shortly after he began his first term as governor, I received a call directly from McWherter, asking if I could come to his office. When I walked in, McWherter was seated alone in his rocking chair, and the trademark unlit cigar was dangling from his mouth. He asked me to be seated. It was obviously going to be a one-on-one meeting. After exchanging a few minutes of small talk, the governor asked if I knew Nelson Andrews, a prominent Nashville businessman with strong Republican ties and, at that time, the chairman of the State Board of Education. I responded yes, and then a curious line of questioning began. “How well do you know him,” the governor asked. I told him that Andrews had been a member of my support council when I was chancellor of the University of Tennessee at Nashville and that I had worked with Andrews in creating a group known as Leadership Nashville. After each exchange, McWherter paused for several seconds, nodding from time to time, and chewing on his cigar. “Has he been a good chairman of the State Board of Education?” he asked. I noted that I couldn’t answer that question from personal knowledge, because my previous roles in higher education had not included participation with the state board. However, I had no reason to doubt his effectiveness. “Could you work with him if we kept him as chairman?” he asked. I responded that I understood. At that point, the governor leaned back in his chair and began to rock, saying nothing for many seconds. Then, suddenly, he began asking me the same questions in the same order in which he had asked them earlier. Long pauses again punctuated each question and my responses. When the second round ended, McWherter again leaned back in his rocking chair, and the seconds ticked off. He was clearly in deep thought, seriously weighing the options. I sat quietly. Then came the verdict, clearly articulated. “Commissioner, if you are comfortable with Nelson, so am I. Let’s keep him,” he said. With that, the meeting ended, and I left. To me, it was a defining moment. Political statesmanship was on clear display. I had just participated in a process that convinced me that I was working for a man who truly cared about people, practiced fair play, and respected the political process. Moreover, I saw firsthand that this governor was committed to putting the good of the state above partisan politics. The rest of the story is simply this: Nelson Andrews was retained, and he served as chairman of the State Board of Education during McWherter’s two terms as governor. 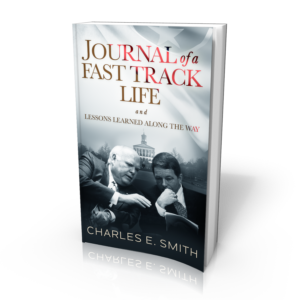 Throughout that time, they had a positive relationship built on mutual trust, respect, and open communication without regard for party affiliation. -adapted from Journal of a Fast Track Life, Chapter 24, © 2018 Charles E. Smith. All rights reserved.